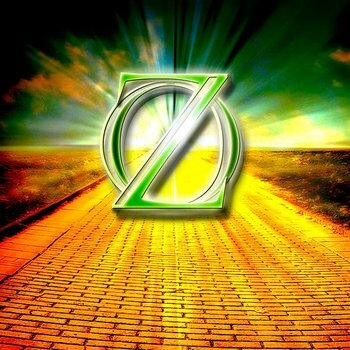 The Chronicles of Oz is an Audio Play adaptation of the Land of Oz series by L. Frank Baum. Produced by Crossover Adventure Productions, the series takes the original Oz stories and retells them with a modernized, somewhat Darker and Edgier spin, with some more thorough worldbuilding. The Mythology Gags and references to Baum's other works are plentiful; some just as Shout Outs and some as foreshadowing for the future. The series so far consists of two seasons, with six episodes per season, each season adapting one of Baum's books. The first season, The Wonderful Wizard of Oz, tells the familiar story of Dorothy Gale from Kansas, who gets caught in a tornado and finds herself in the magical land of Oz, where she (together with her dog Toto, a Scarecrow, a Tin Woodman and a Cowardly Lion) has to travel to the Emerald City to ask the Wonderful Wizard to send her back home. Unfortunately, this is an Oz in the middle of a great unrest, and Dorothy's accidental assassination of the Wicked Witch of the East leads to a power struggle and a civil war in Munchkinland that threatens to spread to the rest of Oz. The second season. The Marvellous Land of Oz, sees the civil war reach the Emerald City, and the narrative follows Tip, the apprentice to the witch Mombi, as he journeys to the Emerald City with his newly-created companion Jack Pumpkinhead and ends up in the middle of the war, as well as on a quest to find the lost princess Ozma. The creators have confirmed that more seasons are forthcoming. Accidental Misnaming: The Scarecrow can never seem to pronounce Jellia Jamb's name right. Action Survivor: Dorothy, at first. Then she Took a Level in Badass and became an Action Girl. Adaptation Personality Change: A lot of characters have been hit with this to some degree. In many cases, the changes are minor and they stay close to their original book counterparts (though in somewhat more serious situations) — but other characters, like Dorothy and the Tin Woodman, are almost completely different. Adaptational Early Appearance: Quox, the dragon from the eighth Oz book Tik-Tok of Oz, had been brainwashed by the Wicked Witch of the West to invade Munchkinland in this version. The Wicked Witch's right hand man is Ugu the Shoemaker, who in the eleventh Oz book, The Lost Princess of Oz, becomes a powerful wizard and kidnaps Ozma. The Wizard, whose role in Ozma's disappearance is explored in greater detail, is definitely not the "good man" he claims to be. In fact he is closer to the villain he was made out to be in the original second book, before fans clamored to have him come back and be good and Baum conceded. General Jinjur was an antagonist in the original book, sure, but she wasn't murderous and dangerously unstable like she is here. Adapted Out: The giant spider that the Cowardly Lion fights in the original book does not appear in this version. Instead, the Lion fights the Hammerheads. Affably Evil: The Wizard comes across as this, even more so in the second season. He's a pretty pleasant guy to be around, polite and charming, and he seems to genuinely regret some of his worst actions. However, he's very much an amoral and untrustworthy con man who thinks nothing of using people for his own means and betraying or abandoning them afterwards. The Wicked Witch of the West accuses him of having killed King Pastoria — and while he denies having had anything to do with that, his tone makes it ambiguous. Either he did kill the king, or he just wants the Witch to think he did. Dorothy was a little girl in the original. Here, she is in her late teens at the very least. Tip and Ozma are specifically mentioned to be twenty years old. Tip was definitely younger than that in the original book, and Ozma, though her age quickly got vague as the books went on, was described as looking like a girl of fourteen or fifteen. Locasta, the Good Witch of the North, has a larger role here than in the books. She works closely with Glinda, and even appears in the Marvellous Land of Oz adaptation, though she never appeared in that book at all. The Wicked Witch of the West likewise has a somewhat larger role and gets more to do than in the original book — though not to the extent of the MGM movie. Omby Amby, Jellia Jamb and Faramant (the Guardian of the Gates) all have increased roles, being the main public servant officers of the Emerald City. Auto-Tune: Many of the voices are distorted using this method. Canine Companion: Toto, as per usual. Preena, the reporter from the second season, has no real equivalent in the books. Same with Victon, General Jinjur's lieutenant. In the original book, Jinjur would never have allowed a male lieutenant in her ranks, but the Jinjur of this series is not the Straw Feminist the original was. Catch-Phrase: Jack Pumpkinhead tends to call everything and everyone "Amazing!" Changed My Mind, Kid: Initially, the three companions don't accompany Dorothy to the West — the Tin Woodman doesn't want to be an assassin for a Wizard he doesn't trust, the Lion is too scared to come, and the Scarecrow, who actually does want to come, ends up being left behind when Dorothy loses her temper with the other two. As Dorothy goes off to the east and gets attacked by murderous ravens and wolves, the three companions show up like Big Damn Heroes to save her. Character Narrator: Dorothy in the first season, Tip (and occasionally Ozma) in the second. The Chessmaster: All the Witches of Oz seem to have a trace of this, though Glinda is the biggest one. Luckily, she is a thoroughly benevolent example; her machinations are genuinely done with people's best interests at heart. This is pretty much the Scarecrow's characterization in the first season. He's only one day old when he first meets Dorothy, so though he has the appearance and voice of an adult, he is technically a child. It's even clearer with Jack Pumpkinhead in the second season. Being brought to life in the first episode, he's as much of an innocent and inexperienced child as the Scarecrow in the first season... arguably even more innocent, because where the Scarecrow was a bright and imaginative child, Jack is a slow-witted and easily confused one. Composite Character: A small example, but in this version of the story, Boq is the Munchkin who made the Scarecrow. Constantly Curious: Jack Pumpkinhead. Unlike in the original books, he actually very rarely plays The Watson so that other character can provide exposition... but he still asks a lot of questions. Cowardly Lion: The Trope Namer himself is a major character in the first season, of course. He's a more serious character than he was in the original books, and certainly does not play comic relief like his movie counterpart, but he has his moments. Darker and Edgier: To an extent. It's certainly darker and more cynical than the original books... but it's also Lighter and Softer than certain other adaptations, retellings or re-imaginings. Oz may be plagued by civil unrest, violent revolutions, political manipulations/assassinations, but it's by no means presented as the Crapsack World other adaptations love to turn it into. Dead All Along: Possible case with Tip, who at the end of season two gives up his life so that Ozma might live. It's all but stated that an aspect of him lives on as a voice and consciousness in Ozma's head, and that his narration of the series has in fact been him telling her his story. Deadpan Snarker: It's probably quicker to list all the character who don't have some traits of this. Dorothy's probably the biggest one, though the Tin Woodman's a close second. Boq, the Munchkin. In the book, he was just the farmer who offered Dorothy a place to stay for the night before her journey to the Emerald City — here he's an ally of Locasta who is set out to accompany her to the Emerald City, but when the violent mob catches up with them, Boq stays behind to perform a Heroic Sacrifice so Dorothy can get away. General Jinjur. In the book she was let go after the revolution failed — here, where she's notably more dangerous, she's killed by Omby Amby while trying to blow up the entire Emerald City. Arguably, Tip. In the book, Tip was just Ozma in a different body — here, Tip is a separate personality who was created when Mombi enchanted Ozma, and who pretty much has to give up his life so that Ozma can live. It's hinted that he lives on as a voice in Ozma's mind... much like Ozma was a voice in his mind. Arguably Toto. He accompanies Dorothy on her journey and functions as an occasional plot mover, but he gets less attention than he did in the book and is more or less forgotten about for long periods of time. The Sawhorse, while getting a couple of key scenes, has a pretty small role overall. It doesn't help that unlike his book counterpart he's unable to talk. Disabled in the Adaptation: If it can really said to be a disability when it comes to inanimate objects come to life, but neither the Sawhorse nor the Gump are able to talk in this version. This does confuse Tip, since Jack Pumpkinhead, who was brought to life by the same Powder of Life, can talk perfectly well from the get-go. However, Mombi does point out that while the powder itself was the same, the person who used it was not — and Mombi is just more skilled with magic than Tip is. Easily Forgiven: Subverted with both the Cowardly Lion and the Wizard. Unlike her book counterpart, this Dorothy holds grudges. It takes her a long time to forgive the Lion for scaring her and pretending to attack Toto at their firs meeting, and she never forgives the Wizard his fraud and trickery. Fantastic Racism: The Field Mice are apparently sensitive to this. Queen Ramina scolds Faramant for being racist when he assumes that she would like to order cheese at a restaurant. Faux Affably Evil: General Jinjur. She's initially polite enough, but it doesn't take a lot before she drops all pretenses and reveals herself as a vertiable tyrant. Feather Fingers: The stork guards of the Emerald City carry swords. Fire-Forged Friends: Dorothy and her companions. While the Scarecrow pretty much gets along with everyone from the start, the Tin Woodman takes a long time to warm up to the others, and it takes even a longer time before Dorothy quite trusts the Lion. Dorothy even describes their travelling together as "an arrangement of convenience" and fully expects them all to go their separate ways after they've seen the wizard. But at the end of the first season all their trials and tribulations have forged a very close bond between them. Gilligan Cut: The Tin Woodman, afraid of falling into the water and rusting, absolutely refuses to get on a raft, claiming that there is no way the others can talk him into it. No prizes for guessing what the very next scene is. After killing the Wicked Witch of the West, Dororthy just breaks down completely as every bad thing that's happened catches up with her. She retracts into herself and is unable to do anything much for several days. The Scarecrow has a delayed one after the Munchkin army has taken over the Emerald City and he's not only been forced to flee on the newly-made Gump but also leave behind Omby Amby, who was trying to protect him. He holds it together well until a crash-landing and subsequent events in a jackdaws' nest leaves him minus all his straw, temporarily just a head. Then everything just seems to overwhelm him and he lapses into a depression, until the Tin Woodman gives him a You Are Better Than You Think You Are speech. After the Winged Monkeys have taken out the Scarecrow, the Tin Woodman sacrifices himself by doing a heroic last stand against the Winged Monkeys in order to give Dorothy, Toto and the Lion a chance to escape. Boq sacrifices himself to let Dorothy escape the mob at Munckinland. Unlike the Tin Woodman, he does not get better. Honor Before Reason: When Faramant finds out that the wizard is a fraud, he immediately informs the people of the Emerald City, despite Omby Amby and Jellia telling him that this will likely cause panic and riots, because he doesn't want to deceive the citizens. If I Can't Have You...: Non-romantic example with General Jinjur, who after her defeat decides that if she can't rule over the Emerald City, she'll just blow the entire city up so that nobody can have it. Jack: Ooh — look at the size of those knockers! Jellia: I beg your pardon?! Jack: The door knockers! Of...(starting to suspect he said something wrong) ...such a big door! Innocently Insensitive: Jack Pumpkinhead again, at least sometimes. The Woggle-Bug probably qualifies as well, as he keeps accidentally insulting or upsetting people... though in his case it's a little more ambiguous whether it really is so innocent, or whether he's doing it on purpose. It Was His Sled: Invoked a couple of times in the first season, with Narrator-Dorothy commenting on how the audience probably already know some of the more iconic plot twists, but pointing out that she didn't at the time. Jerk with a Heart of Gold: The Tin Woodman is an impatient, sarcastic grouch, but despite what he himself claims, he does very much have a heart. The Wizard, despite his Adaptational Villainy, escapes Oz unscathed and unpunished. Mombi, unlike in the original books, never loses her magic and manages to get away while the heroes are busy elsewhere. Mind Control: It's how the Wicked Witch of the West keeps the Winkies subdued. More Than Mind Control: Turns out to be the reason why Tip was happy to stay with Mombi all these years — she'd put him under a spell that made him care about her and want to stay with her even though she wasn't exactly treating him well. It's only when she in desperation begins preparing a spell to turn Tip to stone, that his self-preservation instinct overrides the magic and allows him to escape. When he at the end of the second season allows Mombi to escape, he acknowledges that it's probably the magic still making him care about her... but he can't bring himself to wish harm on her. Memetic Badass: Dorothy becomes an In-Universe example after accidentally killing the Wicked Witch of the East. Rumors very soon begin flying about her casting powerful spells to combat the witch, and after she gets to the Emerald City the first time, it doesn't take long before people are saying she arrived brandishing weapons and with "witch-blood still on her hands." The Wicked Witch of the West has an assistant called Ugu, who's named for the villain of The Lost Princess of Oz. A conversation between Glinda and the Wicked Witch of the West name-drops Queen Zixi of Ix as a mutual former friend. The Guardian of the Gates is given the name "Faramant," which is the name he was given in Alexander Volkov's Tales of the Magic Land. Likewise, the Queen of the Field Mice is named "Ramina," like she was in that series. "What did the Woggle-Bug say? ", which is repeated a few times by several characters, was originally a recurring contest question from the newspaper serial Queer Visitors from the Marvelous Land of Oz. In one conversation between her and Locasta, Glinda says she's never strived to be popular. It's also revealed that she and the Wicked Witch of the West used to be friends. Fans of the original book have speculated for years that the unidentified liquid the Wizard gave to the Cowardly Lion was booze. This adaptation makes it blatant that it's moonshine, and the Lion spends the rest of the episode acting drunk. In a flashback sequence in the second season, the Wizard tells the Wicked Witch of the West that "nobody mourns the wicked." The second season contains a lot of quotes and song titles from the Woggle-Bug stage musical. In the second season when everyone is riding the Gump, Tip laments that he didn't build it well enough, to which the Tin Woodman replies, "it can't be helped now." Never Live It Down: In-universe, Dorothy ends up with the reputation not only as a witch-slayer, but as someone who drops houses on people in order to solve her problems... though this is partially her own fault. She gets so sick of everyone insisting she "assassinated" the Wicked Witch of the East that she starts sarcastically suggesting "drop a house on him/her/it" as a potential solution to every single problem. Of course a number of Ozzians take her literally. Nice Guy: The Scarecrow. He's the friendliest, cheeriest and most earnest of all Dorothy's companions; he just wants everyone to get along and be happy. This does cause some problems during his time as King of the Emerald City in the second season, because while he is a surprisingly good peacemaker and motivational speaker, he doesn't have it in him to be the ruthless leader the civil war demands. Nice Job Fixing It, Villain! : The famous tornado that brought Dorothy to Oz? Turns out the Wicked Witch of the West was responsible for it. Non-Action Guy: The Woggle-Bug, who admits that he's not much use in a fight. Oh My Gods! : Natives of Oz tend to use phrases like "Holy Lurline" or "Mother of Lurline" as an exclamation. Phrase-Catcher: The Woggle-Bug, who often makes people go "What did the Woggle-Bug say?" The unexpected death of the Wicked Witch of the East, after she's had Munchkinland in her power for decades, results not in celebrations and singing, but in confusion, panic and riots among the Munchkins, which soon leads to a violent power struggle and revolution. The Winkies' reaction to the death of the Wicked Witch of the West is less violent — partly because the Winkies are more peaceful than the Munchkins, but mostly because the Witch had the entire country under a mind-control spell for years. When their free will returns, a number of them barely remember how to do anything for themselves anymore, and so the general reaction is apathy and grief as the entire Winkie Contry suffer from collective PTSD. Take an intelligent, but inexperienced Scarecrow who just wants to be friends with everyone, and make him the King of a country in the middle of a civil war? He's not going to be able to handle it very well. Rejected Apology: A downplayed example with Dorothy and the Cowardly Lion. During their time at the palace of the defeated Wicked Witch of the West, she tries to apologize for being so nasty to him on their journey to the Emerald City, but he ends up not accepting the apology because he doesn't think she really means it. Unlike many examples of the trope, his rejection isn't angry, nor does it lead to the two splitting up and going their separate ways — he even says he'll stick with her because they still need each other, and he doesn't rule out the possibility that they can become genuine friends later on, but he's not willing to let her "just shake paws and make everything better." Rewarded as a Traitor Deserves: Preena, after she's betrayed the Emerald City and helped the Munchkin army enter, is rather unceremoniously killed by Jinjur, both as an example of this trope and in order to show an uncooperative Jellia Jamb that Jinjur means business. Scarecrow: I have an idea. Shown Their Work: The creators are very clearly well-versed in L. Frank Baum's work, and there are a lot or references to fairly obscure details that only someone who really knew their Oz canon would get. The name Lurline is used as an exclamation quite often, referring the fairy queen who first enchanted the Land of Oz. Dorothy states that she comes from "Butterfield, Kansas." In the book The Road to Oz, Butterfield is the town closest to Uncle Henry's farm. The first episode refers to Zeb Hugson, who is a distant cousin of Dorothy's and a major character in Dorothy and the Wizard in Oz — though in this version he seems to live in Butterfield rather than San Francisco, and doesn't seem to be related to Dorothy either, since Aunt Em refers to him as "that Hugson boy" and hints that he has a crush on Dorothy. A lot of the creatures from Baum's extended canon are name-dropped in various conversations, such as the Awgwas, the Knooks and the Ryls from The Life & Adventures of Santa Claus. Sliding Scale of Idealism vs. Cynicism: Far more to the cynical end of things than the original books ever were... but when all is said and done, it's much less cynical than many other Darker and Edgier Oz adaptations. Spared by the Adaptation: Okay, Mombi neved died in the original books... but she was Brought Down to Normal, stripped of all her magical powers and banished by Glinda. Here, she she keeps her powers and escapes because Tip can't bring himself to do anything against her. Stock Sound Effect: The Jackdaws sound an awful lot like Velociraptors. Tempting Fate: The Guardians have a tendency to do this. In the first episode of the first season, Faramant spends so much time cheering about having finished all his work so he can go home early, and gloating over Jellia because she can't, that he really should have expected that an emergency call would come so he wouldn't be able to go home at all that night. Later on, Omby Amby, hearing about the "assassin of the Witch of the East," comments that the last thing he wants is to hear that she's left Munchkinland and is headed for the Emerald City. Naturally, five seconds later he gets a call that tells him exactly that. Theme Tune Cameo: The Scarecrow hums the Chronicles of Oz theme tune while stuck on an oar in the river. Unreliable Narrator: Since the Deadly poppy Field sends Dorothy into a deep sleep, Narrator-Dorothy tells the audience she can't give a first-hand account of the next few events, but that her friends told her afterwards what had happened. We're then treated to a scene where the Tin Woodman calmly takes charge of everything while the Scarecrow and the Cowardly Lion both praise him to high heavens. Narrator-Dorothy comments "You can probably guess who told me most of that." She then presents the scene such as she thinks it actually happened, with all three of them panicking and arguing and yelling... before admitting that she's probably exaggerating a little. Villainous Breakdown: General Jinjur, never the most stable person, snaps after her defeat and makes a last-ditch effort to kill everybody. The Wicked Witch of the West tries to present herself as this, claiming that all she does is for the good of Oz. Dorothy doesn't buy it. General Jinjur is a more genuine example of the trope, though her motivations are a little more complex. Wholesome Crossdresser: Apparently, the Woggle-Bug is quite partial to fancy dresses. World of Snark: This is pretty much Oz in a nutshell. Whenever people aren't talking about Grand and Epic things, or foretelling Great Doom, they're usually snarking about it.